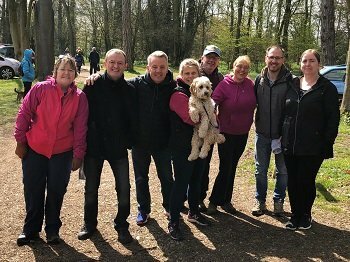 Almost three hundred supporters joined the Helen Rollason Cancer Charity for their second Rural Ramble at The Forgotten Gardens of Easton Lodge on Saturday 13th April, raising over £4,000 for the charity! The weather was up and down with some guests enjoying sunshine throughout and some caught in rain and even a hail storm! 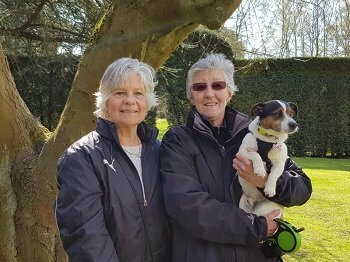 Visitors had the unique opportunity to enjoy a scenic walk around the surrounding countryside and The Forgotten Gardens of Easton Lodge, just outside the historic town of Great Dunmow. 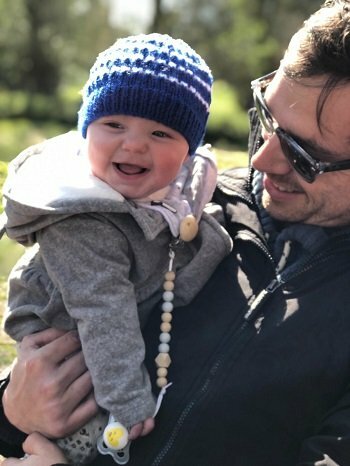 There were three distance options for participants to choose from; 10 mile walk and garden visit, 4 mile walk and garden visit or a 1 mile walk family trail and garden visit. As part of the event a delicious cream tea was served with each ticket, with scones and strawberry jam. The gardens which are entirely maintained by volunteers, comprised of a walled kitchen garden dating back to the 18th century, a wild flowers area for the bees, formal gardens, beautiful carpets and expansive colourful displays of flowers in Spring and Summer. 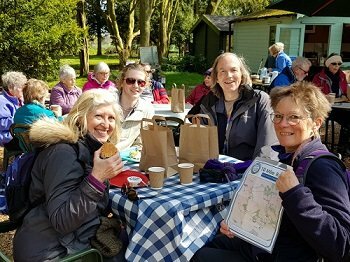 “We’ve been absolutely blown away by the amount of participants that have joined us at our annual Rural Ramble in partnership with The Forgotten Gardens of Easton Lodge. It’s been great to see families, groups of friends, children and dogs enjoying the walk and the stunning gardens. We couldn’t have organised such an amazing and successful event without the help of our great team of volunteers, staff, sponsors and supporters. A huge thank you to everyone who took part in the event and to the volunteers at The Forgotten Gardens of Easton Lodge.